At this point, I'm certain Cyndi Fales from LWS needs no introduction. In this post, she explains why sleep is important and how to get a good night's rest. 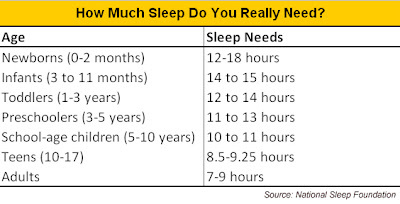 Sleep is an essential requirement for health and wellbeing, just as much as eating a healthy diet and daily exercise. Sleep needs can very across populations, but most adults should aim to get seven to nine hours of sleep each night to receive its benefits. And here is the beauty of it—while we sleep our body does the work such as cell repair and maintenance for better concentration, maintaining healthy weight and higher energy levels. Many studies are finding that people who sleep well have better overall heatlh and live longer. Without adequate periods of rest for physical and mental repair, you may not be able to function at your peak. So, here is the beast of it: insufficient sleep has been associated with hindering weight loss efforts as well as an increased risk of a number of chronic diseases and conditions, including diabetes, cardiovascular disease and depression. Humans have a natural sleep-wake cycle. Sunlight plays an important role in this cycle. Our “biological clocks” are set to make us feel the sleepiest between midnight and 7am so we can stay awake and alert during the day, although many people have a sleepy period between 1pm and 4pm. Our natural sleep cycle is very hard to break or change; this can increase sleeping troubles for people who work during the night and catch up on sleep during the day or for those traveling between time zones. Daylight is key. Get outside in natural sunlight for at least 30 minutes each day. Don't eat or drink large amounts before bedtime. Eat a light dinner at least two hours before sleeping. Your body requires energy to digest your food which can interfere with sleeping. Avoid stimulants such as caffeine and nicotine as these inhibit sleep. If you have a television in your bedroom, keep it off at night as it can also be a visual and auditory stimulant. Go to bed and get up at the same time every day, even on the weekends. Sticking to a schedule helps reinforce your body's sleep-wake cycle and can help you fall asleep easier. Start a relaxing bedtime routine that tells your body it's time to wind down. This may include taking a warm bath or shower, reading a book, or listening to soothing music. Don't agonize over falling asleep; the stress will only prevent sleep. If you don't fall asleep within about 20 minutes, get up and do something such as reading to occupy your mind. Go back to bed when you're tired. Avoid irregular naps and limit naps to before 3pm and less than half an hour in length. If you are having beast-like symptoms—working on a healthy sleep routine can help decrease or control many chronic conditions. If you are having difficulty falling asleep, trouble staying asleep, experiencing frequent loud snoring, pausing in breathing, or gasping while sleeping, consult with your doctor. Identifying and treating the cause of sleep disturbances can help get you on the path to a good night's sleep.